as terrible as spying on one's own citizens is, a very small part of me does feel sorry for the people who wind up seeing the really nasty stuff that's out there. some things just cannot be unseen. ah, what am i saying? 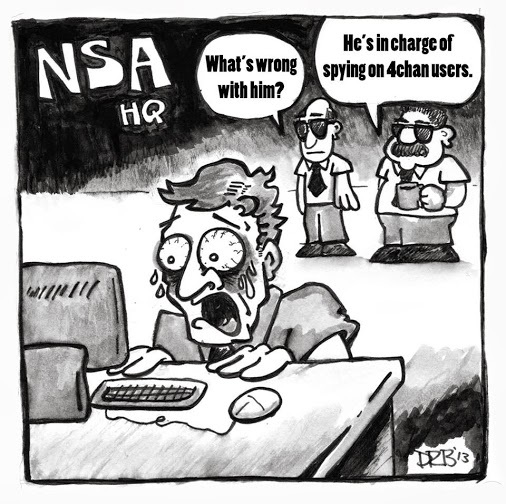 the NSA and 4chan deserve each other.